What's New at the North Market? What&apos;s New at the North Market? 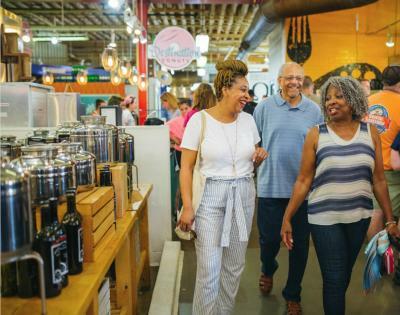 The North Market is always growing and evolving, with new vendors, new events, and new cuisines being featured. 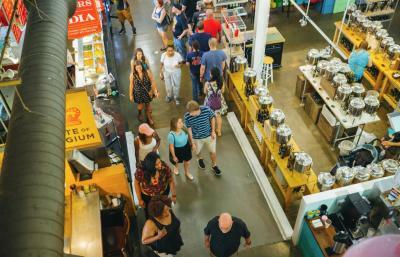 The market’s dining offerings continue to run the gamut from sandwiches and pizza to pretzels and donuts, and everything from Indian, Polish, Vietnamese, Italian, Japanese, and more. In recent years Columbus institutions like Pistacia Vera and Katzinger’s Deli established stalls at the market, while Stauf’s opened a coffee shop to sell whole beans, brewed coffee, and espresso drinks. In recent years the original Jeni’s Ice Creams location moved across the market and upgraded their look to match the other scoop shops. Black Radish Creamery: John and Anne Reese of Black Radish have become the market’s cheese purveyors. Their renovated space near the southeast corner of the market showcases the cheeses they produce near Granville, Ohio, alongside dining options like their Fancy Grilled Cheese Sandwiches and cheese fondue. They even produce their own fruit preserves, like their popular Billionaire made from Ohio strawberries and rhubarb with vanilla bean and a Beaujolais wine reduction. Dos Hermanos: After establishing themselves as one of the city’s go-to taco trucks, Dos Hermanos added a stall on the south end of the market, serving up their fresh-made salsas, tacos, burritos, quesadillas, tamales, and guacamole. Two Brothers Butcher Shoppe: Two Brothers Butcher Shoppe is, indeed, owned by two brothers. Rob and Rich Schuman continue the family business of operating butcher shops. They draw their beef, pork, lamb, and other meats from Ohio farms, and butcher everything on site. Park Street Poultry & Game: Park Street replaces the long-running North Market Poultry & Game by offering market guests the pick of freshly butchered poultry, eggs, and game, as well as prepared dishes. 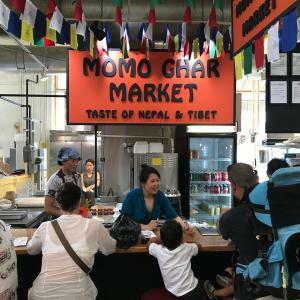 The much-loved Momo Ghar Nepalese and Tibetan dumpling shop recently opened a stall near the northwest corner of the market. Their signature is the jhol momo, dumplings filled with a chicken, onion, and cilantro and sitting in a spicy broth. And something new is always cooking! A family-run chocolate shop, Coco Cat, is slated to open later this fall, serving chocolate bars, truffles, drinking chocolates, treats for kids, and more. Recent changes in the law made the market a sip and stroll district, meaning you can enjoy a glass wine or pint of beer from The Barrel & Bottle with your meal. North Market also features “The Happiest of Hours” from 4-7 p.m., with specials from select vendors throughout the week, like Taco Tuesday at Dos Hermanos or Buck-a-Bone from Market & Boar on Wednesdays. 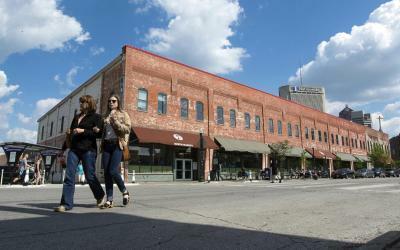 Check out the full list of North Market vendors here!